Parker 75 ballpoint pen. Chinese lacquer version in brown marble with subtle patterning. Excellent + condition. Product Name Parker 75 .... this is the earlier version before it morphed into the Parker Classic. This is one of the Chinese lacquer colors. Manufacturer and Year Parker, France. The date code is TE for 1985. Filling System Takes standard Parker refills (a good working refill is installed). Condition Excellent + condition. 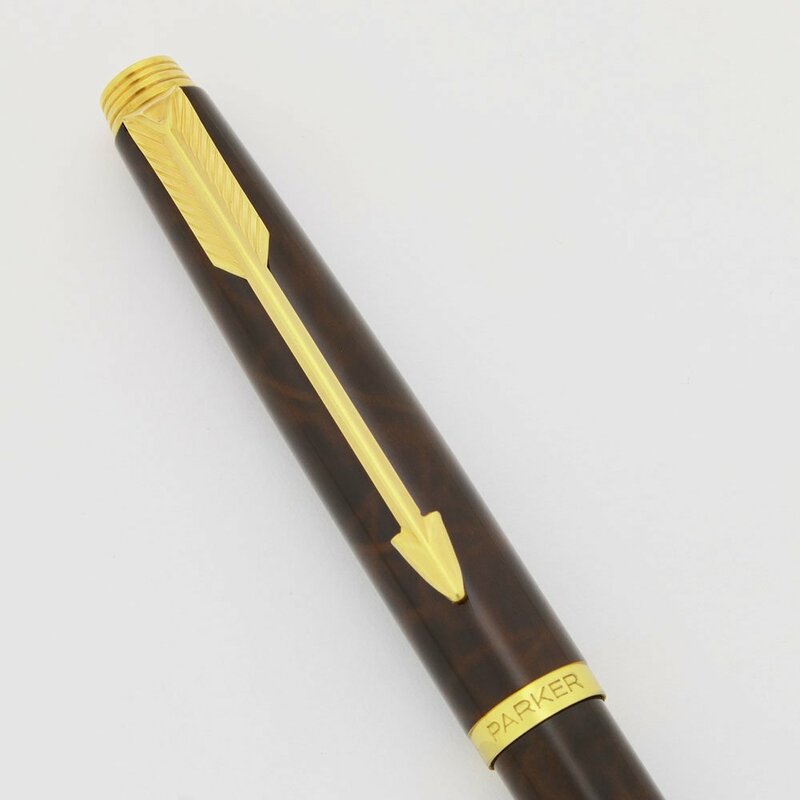 The pen is shiny and handsome with its subtle patterning. Both the cap and barrel have light scratch marks, but nothing that penetrates the finish. The trim and clip look beautiful. The imprints are clear. There are no cracks or plating wear.